It is a long soccer season, when they are little it's only 30 minute a practices and short little cute little games where they follow the ball like a bee hive. But as they progress it turns to 2-3 hour and half long practices a week, and early morning games in another town. Both of my kids have been playing since they were 3 years old so I've learned a thing or two. Here is a list of must haves to bring to the field to help you survive the soccer season. When your little soccer player has a game at 9 am in early spring, this little guy will save your teeth from chattering. Before your like WHAAAAT! Here me out! I can't tell you how many times I've taken my soccer player into the porta potties and was like NOPE not going in there! Or there isn't a porta potty available. I stick it in the back of my SUV, if someone needs to go, put up blankets to cover the back windows and BAM safe place to potty. It has saved our bottoms, literally. This maybe a PNW thing but I don't use umbrellas. I have an umbrella in our soccer wagon but half the time I'm carrying so much stuff that I forget about it. So to save yourself one less thing you have to carry invest in a good rain coat. Soccer fields are muddy. This is probably the #1 reason why my son loves the sport, he gets to play in the rain and mud! This makes life just so much easier. When it is soccer season we don't fold it up, we just keep everything it in. 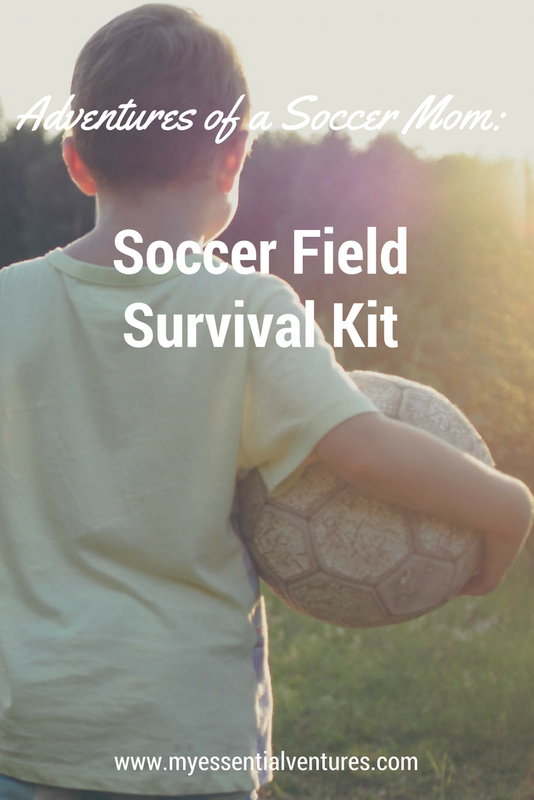 Soccer ball, folding chairs, umbrella, a bag of snacks, and The Soccer Mom Survival Kit. Put it in the car and off you go. Some fields do not have benches you can watch the game on, and some fields don't allow these chairs on them. Bleachers are just not comfortable! My husband really wants one, but the problem I see with these is the stakes. Most fields don't want you to put stakes down, and if its a windy day then its more trouble then whats it worth. What do you bring with you to soccer games that you can't live without! Thank you! I'm glad you found this post useful! With looking at your website we are nooot talking about the same kind of survival. But thank you for the comment. I hope you like my post and you link is very informative.